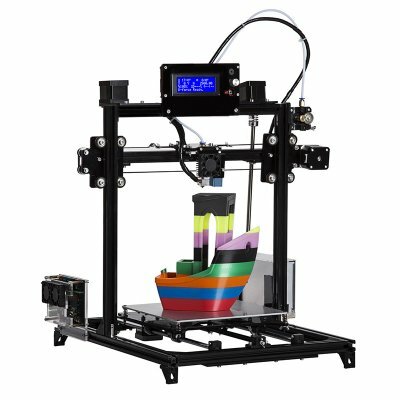 Successfully Added FLSUN C DIY 3D Printer Kit-Double Z Motors,High-precision printing to your Shopping Cart. Automatic leveling function for faster leveling. Full metal structure.Structure very solid. Y-axis positioning system, easy to achieve high-precision printing. The DIY Flsun C 3D Printer Kit comes with a 12 months warranty, brought to you by the leader in electronic devices as well as wholesale 3D Printers..
Filament Material: ABS and PLA, conductive PLA, wood ,dissolvable PVA.